There’s someone I’ve always admired, whose behind-the-scenes work grabbed my attention when I was much younger and really getting into music. 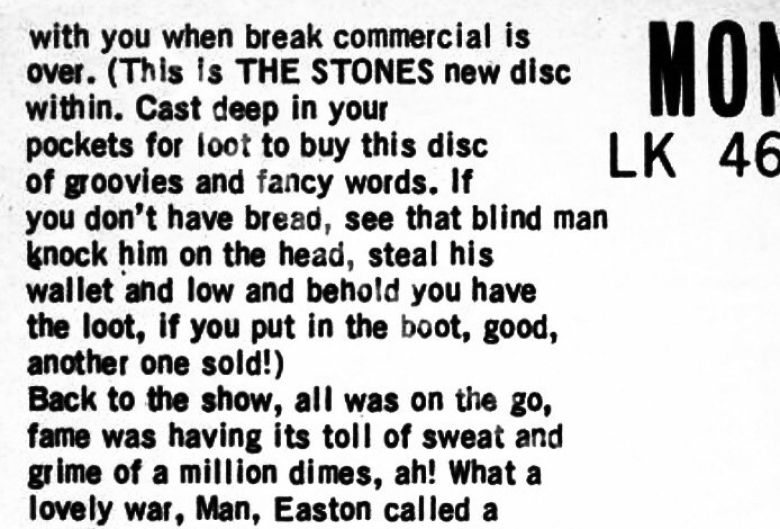 A disruptive marketer in the music business who definitely doesn’t get the attention he deserves compared with Malcolm McLaren. 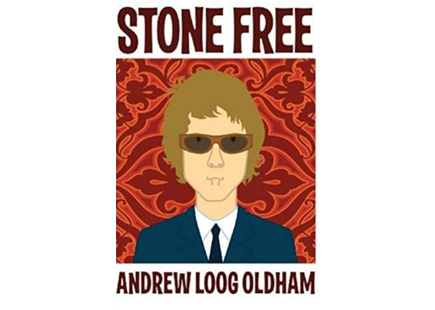 So, I wanted to do a piece for Creative Moment on record producer Andrew Loog Oldham. Even better, Andrew kindly agreed to answer some questions. But first, an intro on why Andrew matters to those of us who work in the creative fields. 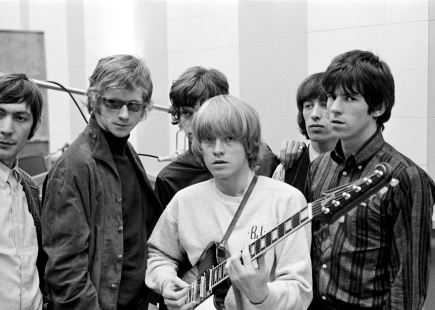 Andrew was the manager of The Rolling Stones between 1963 to 1967, masterminding their ascent from a R&B covers band to global fame and notoriety. He also produced their records, including some of the most definitive sounds of the decade such as (I Can’t Get No) Satisfaction and Paint It Black. 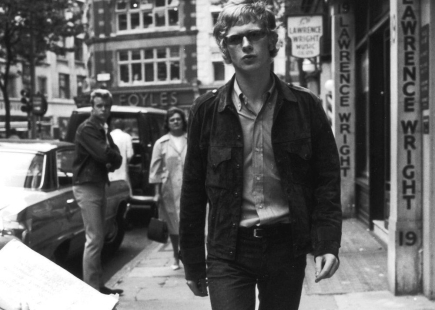 Moreover, not only was he manager and producer, Andrew was the band’s publicist, stylist and art-director – without any prior experience in any of those roles. ALO just made it up as he went along. Today, we call it disruptive marketing. 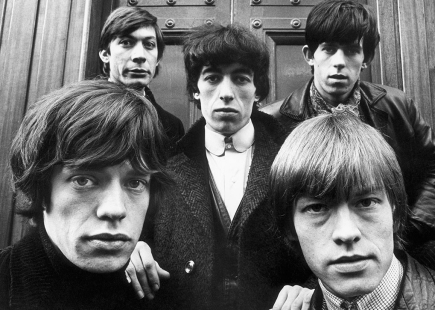 Even more remarkably, when Andrew first saw The Stones in a Richmond club in 1963 and offered to be their manager, he was just 19 years old. Forget punk. Those four or five years from 1963 were probably the most radically transformative period in Britain’s cultural landscape. 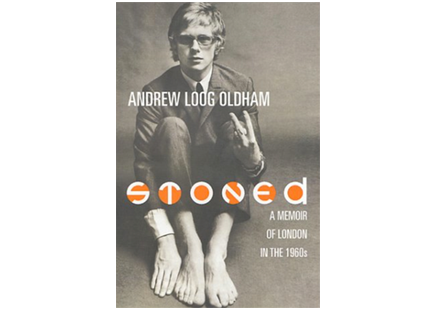 At an age when most lads are still trying to light their own farts, ALO was at the apex of shaping what was to become the Swinging Sixties. There was no template on how to do it. Before The Beatles and The Stones there had only been showbiz and variety. British pop stars had absurd teenybopper names like Johnny Gentle and Vince Eager. Instead, Andrew used a mixture of hustle and intuition (or what ALO calls ‘the isms’). 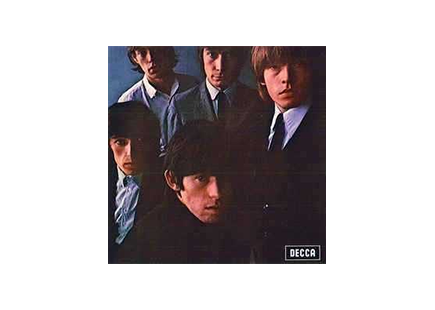 It was Andrew who, having secured a Lennon and McCartney song as the band’s first hit, locked Mick Jagger and Keith Richards in a room and refused to let them out until they had written their first-ever song. 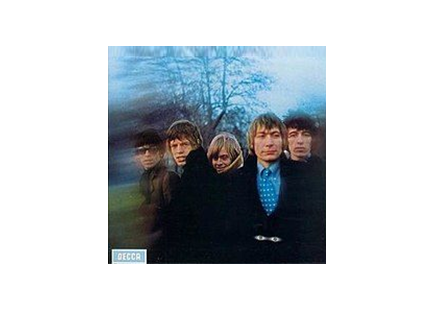 When their debut album came out, Andrew fought the record company to have the band’s name removed from the sleeve. Not bigger or bolder, but completely absent. It didn’t make sense, but of course, it did. Mystique. 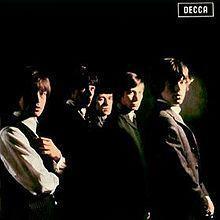 It was Andrew who got David Bailey to photograph The Stones in full attitude for the second album cover and who wrote the accompanying hip, menacing, Clockwork-Orange inspired sleeve notes which sparked tabloid outrage and a debate in parliament. 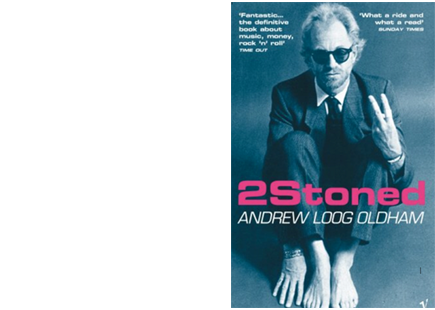 When another tabloid headline posed the question ‘Would you let your daughter marry a Rolling Stone?’, Andrew co-opted it for publicity. He seized upon the generational tension within the question and turned an intended insult into an affirmation. Andrew has lived in Bogota since 1975. He relocated there to deal with a ‘drug habit’, whereas most people would go there to acquire one. 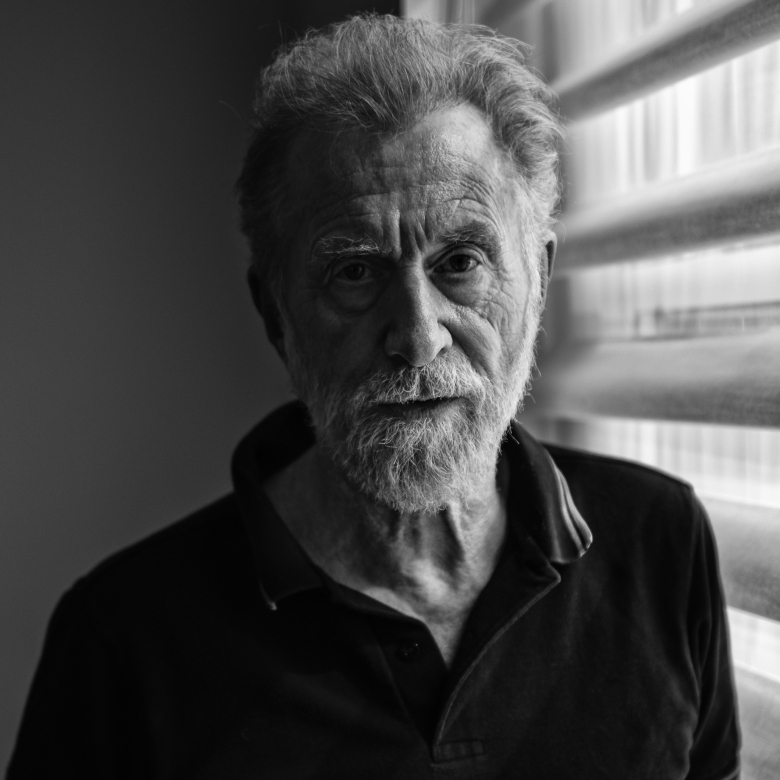 He has recently started a podcast series called Sounds and Vision, including chats with music photographer Mick Rock and Rob Schwarz, the CEO of TBWA. 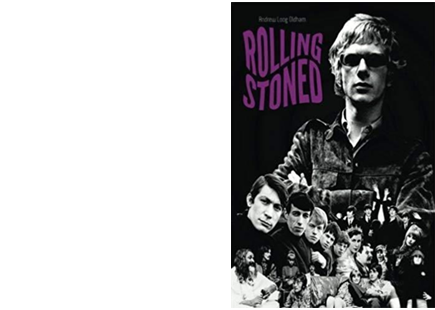 He has published four books; Stoned, 2Stoned, Rolling Stoned and Stone Free. 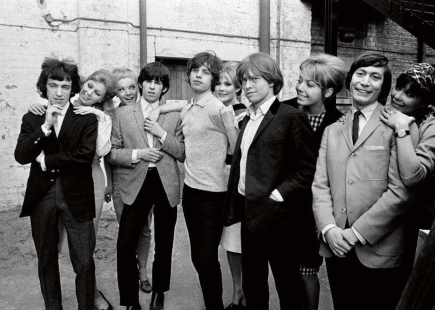 MARK PERKINS: I think most contemporary people would find it hard to fathom that you started out as the ‘head’ behind the Stones at just 19. Were you drawn to the music, pop culture or the idea of creating something; a band image that you could shape? 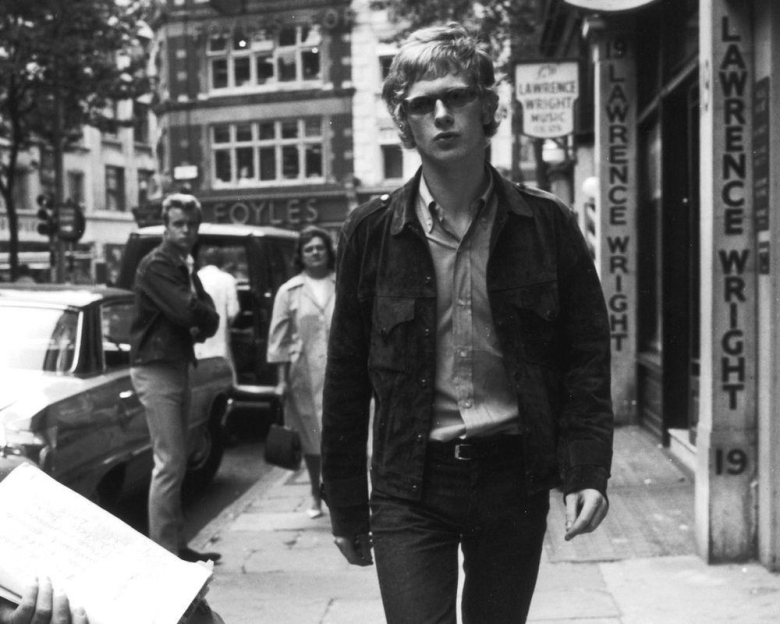 ANDREW LOOG OLDHAM: I was drawn to the idea of any life other than the one I had been promised or had been told ‘would be good for me’. In general, I was drawn to communication. I will not call it manipulation. Why? I don’t think you can talk down to your audience. You have to have intrigue, make others’ lives better the way you wish to improve your own, or at least give the possibility. We may have worshipped American music and movies, but there was no way we could imagine belonging to it, until we did. MP: You started in music as, briefly, a publicist for The Beatles. 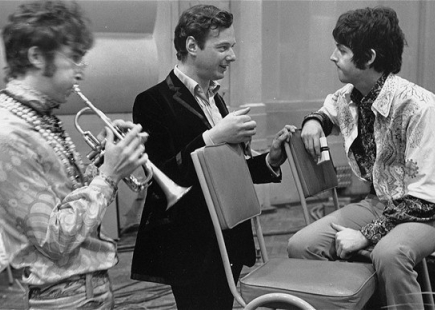 What did you learn from Brian Epstein? ALO: Not much about work. Brian was as secretive and terrified as the rest of us if we’d stopped to think about it, which we didn’t. I appreciated his passion, devotion and disdain for those who did not agree with him. MP: Today people in creative industries, including music, talk about ‘target audience’ and so much creative work, certainly a lot of mediocre stuff, comes from data, but did you have in mind who you were talking to and how to reach them when you were shaping the image of the Stones? ALO: Nope. I did it all for me. However, I knew the subliminal rules because I’d grown up being a fan of the result. I knew that for every Elvis there was an Eddie Cochran. What you fall in love with tells your mates who you want to be. 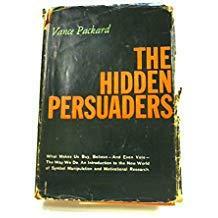 In 1957 there was a book called The Hidden Persuaders by Vance Packard about media, advertising and manipulation. There was no Amazon. When I eventually got the book I didn’t need to read it. I just needed to hold it. That did the work. MP: There wasn’t any template or any example to follow for managing a rock’n’roll band and influencing youth culture. Yet, you had David Bailey shooting an album cover and your self-penned sleeve notes debated in Parliament. Was there a strategy or was it more intuition and opportunism? ALO: There was fashion. That was the first pop business in the UK. 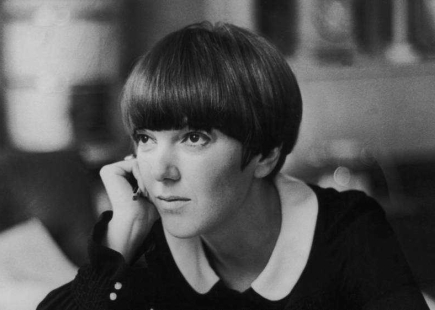 My first job was a gofer for Mary Quant in 1960. That taught me a lot of what I needed to know. Mary was the artist, she cut, she designed. Her husband Alexander Plunkett-Greene hustled the brand and a pal Archie McNair, who was a lawyer, made sure they got paid. Life was perfect. The carpets were thick, the teacups were thin and your life did not end up on the cutting-room floor. Inside that life I met the photographer Terence Donovan. I was 17. One day he said to me, “Andy, you’re an alcoholic”. I said ‘But Terry, I don’t even drink”. He replied “It doesn’t matter, you have the ‘isms’”. Those ‘isms’, Mark, are the answer to what a lot of your questions are about. Only having a mother allowed my female antennae to get developed. My choices… I was able to read both sides of the street. I always figured if I like it, others will too. It was destiny, location, uterus and timing. 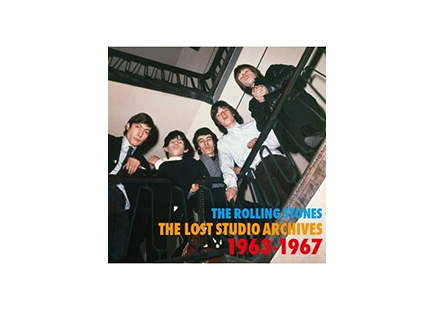 MP: You had the idea not to feature the band name on the Rolling Stones debut album. 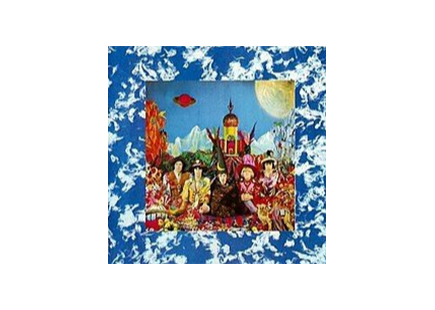 That was a first in the industry and created a story and intrigue around an unknown band. It’s such a simple trick in retrospect, but so clever. Where did your instinct to break the rules to gain attention come from? ALO: The ‘isms’… it’s all in the moment. You take the expected away… you get a run, then you start second guessing yourself, you don’t believe your luck, then you’re fucked. If you are lucky, you get the ball back again. MP: If the 19-year-old ALO was around today would you still be drawn to music as your outlet or another creative medium? ALO: Aah, I think I’d like to manage a tennis player. Same gig, better weather. The main thing is to know who they are, even if you have to help them on the first few laps. Then if the only thing that is growing is the money, you are not needed, and the bean counters take over. I never did money; I did dreams. MP: How’s life for you now in Bogota and which contemporary creative work excites you? ALO: Life is good. Colombia gave me a life and a family. Well, apart from a first son in England. Ironically Colombia was the best place to deal with a drug habit. Wholesale decorum. Even my mother would have liked my manners. My whole life was informed by the 50s. That’s probably why I saw Phantom Thread three times. Enjoy the life with the missus and the pooch Mark, and read War on the Young by John Sutherland. Or, at least, hold it. Lead image: Bob Bonis Photographs @2269 Productions, Inc. - NotFadeAwayGallery.com. Image in All About Andrew: Betina LaPlante.